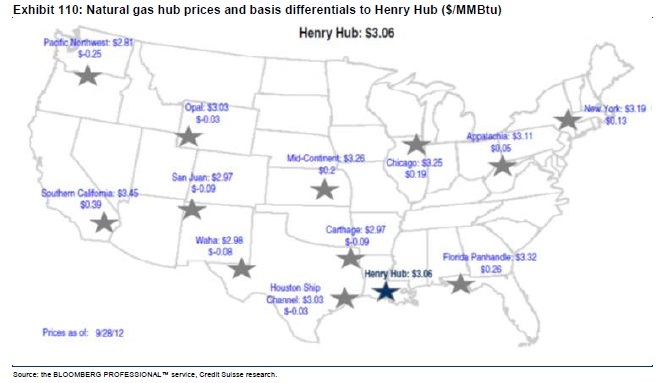 Natural gas prices differ by hub. The exhibit below shows the basis differencials to Henry Hub. Over a long period, the basis differencials should allow a reasonable return on capital for the infrastructure assets and for the producers. Very wide basis differentials provide an interesting signal for incremental infrastructure investment; whereas, relatively flat basis differentials question the underlying value of existing assets.